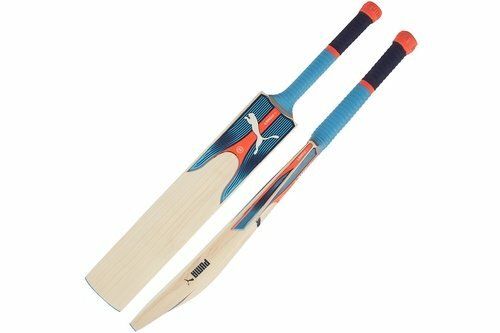 The Very Best Grade 3 English Willow is chosen to become a PUMA bat. Pressed for performance, then shaped into a huge profile. Thick edges and an imposing swell, showcase the power contained within. The blade is perfectly balanced to produce a combination of unrivalled pick up and devastating amount of hitting power. Unique multi-textured PUMA grip with new cosmetics for 2017, ensures the best possible touch and control.